The state did not release scores from a new reading test in October, as originally promised. Now, the scores might remain unavailable until next week — after state schools superintendent Sherri Ybarra stands for re-election. Whenever the scores are released, they will give Idahoans a first look at how kindergarten through third-grade students fared on a computer-based reading test. The new test ties into Idaho’s literacy initiative, a $13 million program to help at-risk readers. Rebooting the test was a priority for many educators, and also for Ybarra, elected in 2014. All K-3 students took the new test for the first time in August and September. In a late August interview with Idaho Education News, Karlynn Laraway of Ybarra’s State Department of Education said the agency would release fall scores by the third week of October. Idaho Education News first submitted a request for state and district reading test scores on Oct. 18. 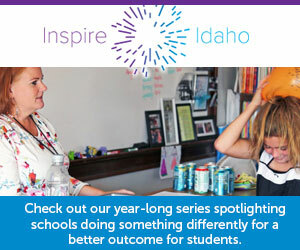 Idaho Education News has made several followup requests. On Monday, Laraway told Idaho Education News’ Clark Corbin that the department would release the reading test scores by Wednesday. Instead, on Wednesday, Idaho Education News received a letter from the SDE, saying the scores weren’t ready for release. “Additional time is needed to locate, retrieve and/or copy those public records that may fall within the scope of your request and are subject to disclosure,” wrote Kelly Everitt, the department’s communications specialist. Everitt said the department would mail or email the scores by Nov. 9, three days after Election Day. It’s also 10 working days after Friday, when Idaho Education News submitted one of its requests for the scores. Under state open records law, agencies have a 10-day window to release public documents. The department hit several glitches in compiling the scores, Laraway told Idaho Education News Friday. The department ran into delays loading data through the Idaho System for Educational Excellence, its longitudinal data system. A key IT staffer left the department during the process. And some schools used incorrect student identification numbers when reporting test scores. “This was a new process, and we just needed time to get through the process,” said Laraway, the department’s director of assessment and accountability. When the reading test news breaks, it might not be good news. State officials are bracing for a dropoff in scores on the new test. “I think that’s going to be the biggest change that we’re going to see,” Laraway said in August. In the fall of 2017, on the old version of the Idaho Reading Indicator, only 49.8 percent of kindergartners showed up with the skills needed to learn to read — at least a 12-year low. But the SDE has cautioned against comparing scores on the two reading tests, since the new test is more comprehensive than its predecessor. This fall, K-3 students took a new test designed to offer a more complete measure of reading skills. State officials say the 2018 scores should not be compared with numbers from the previous test. State officials are concerned about perceptions — and the inevitable comparisons. They say the new test is significantly different than its predecessor, so it’s impossible to compare the results. The lackluster results point to the need for a new test, state officials say. In 2018-19, Idaho will spend nearly $13 million to try to help students at risk. All students in grades K-3 will take a new reading test during the 2018-19 school year. Statehouse roundup, 3.27.18: A House vote fell far short of the two-thirds support needed to override a veto. Meanwhile, Otter objected to a piece of one K-12 budget, but stopped short of a second veto.